Senior Metropolitan Police Officers are currently leading a programme to reduce and ultimately prevent the theft of motor vehicles across London. They have approached undergraduate and postgraduate students studying marketing and communications in LSBU's School of Business to develop innovative ideas to spread the message that these crimes are preventable. Detective Chief Inspector Iain Maddison of the Metropolitan Police said: "Professional criminal gangs are targeting two and four-wheel vehicles using increasingly high-tec and sophisticated methods. 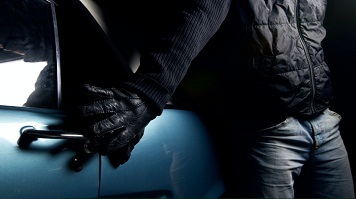 "To help the Metropolitan Police halt the escalation of these crimes and prevent motor vehicle thieves from continuing such activities, we must offer London vehicle owners all sound advice to take every precaution and protect their vehicles. "We have worked with LSBU on other campaigns in the past and been extremely impressed by the creative and practical ideas that were presented to us – and have implemented them in some cases. The brief we have given the students is by no means an easy task but we have confidence in their ability to rise to the challenge." Around 50 students will work in groups to create campaigns which they will present to officers at New Scotland Yard in the spring. The best ideas will be incorporated into a campaign that will launch across London in June 2015. MSc Marketing Communications course director Kim Roberts said: "This is a tremendous opportunity for our students to work on a live brief and potentially see their ideas actioned across London's Boroughs. It's another example of LSBU working to address real world challenges."